We haven’t been out on the water much this past week with windy and rainy weather so we don’t have too much fresh information to report. We are basically in the early winter chinook season holding pattern. What does that mean? Well it means there are a few fish around and as usual, if you wait for the “hot report” those fish are long gone, so the best thing to do is go when the nice weather days line up with your personal schedule. We mentioned this in previous reports, but with the 35-45 mm heavy rain fall warning for tomorrow, make sure you have lots of juice in your batteries and make sure those float switches for your forward and aft bilge pumps are working perfectly. Every year we see pictures of boats that fill up full of water and sink during heavy rainfall events, so go check on your baby if you keep it in the water year round. There are some things going on with SRKW (southern resident killer whales) and DFO these days, so I am going to pass on a few links to keep you busy during the rain storm and while you are tying leaders. This affects you and you need to be informed. If you don’t fish these areas, don’t think that you are home free, there are likely similar actions headed our way. 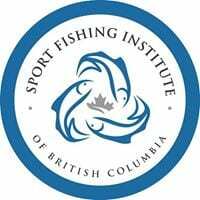 Read these links articles and then get involved by joining and supporting SFI(Sport Fishing Institute) as this is the organization that is working to promote and protect your rights as a sport fisherman to have reasonable access to saltwater fishing. If you have been reading my fishing report for the last 11 years you will see I very rarely use it to get political. Today I am, which I don’t take lightly, and neither should you. I hope it shows you how serious the situation has become. If we as recreational anglers don’t come together and get involved now, all those leaders you are tying will be for nothing, so please take the time get involved. A great way to learn more, get involved, make a difference, and have a great time is to attend the SFI Annual Policy Conference and Big Splash Gala Fundraiser this month. There are some great speakers lined up for the Conference, including Dr. Andrew Trites and the Big Splash Gala is always lots of fun.